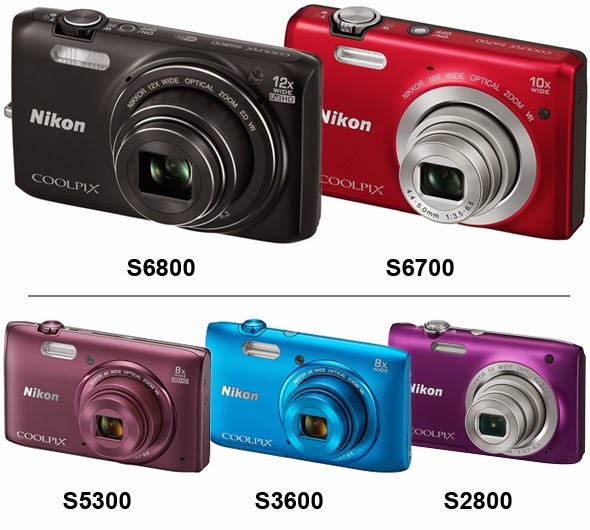 Nikon expands its line of COOLPIX S cameras with the S6800, S6700, S5300, S3600, and S2800 compacts. The S6800 ($219.95) comes with a 16MP BSI CMOS sensor, a 12x optical zoom lens, a 24x Dynamic Fine Zoom, 1080/60i video recording mode, and Wi-Fi connectivity. The camera will be available in three colors: white, black and red. The S6700 model has a 20.1MP sensor, a 10x optical zoom lens and a up to 20x Dynamic Fine Zoom function. The 16MP S5300 sports a 8x optical zoom lens, a 16x Dynamic Fine Zoom, 1080/60i Full HD video recording capabilities, and built-in Wi-Fi. The S3600 model features a 20.1MP sensor, an 8x optical zoom lens, and up to 16x Dynamic Fine Zoom, and the entry-level S2800 comes with a 20MP sensor, a 5x optical zoom, and an array of easy-to-use image editing functions. All five cameras are expected to be available in February. January 7, 2014, TOKYO - Nikon Corporation is pleased to announce the release of five new COOLPIX S-series models incorporating advanced functions and ease of use. The S6800 is a very compact camera measuring approximately 96.8 x 57.5 x 22.9 mm (W x H x D)* into which a number of advanced features, including an effective pixel count of 16.0-million pixels, a 12x optical zoom NIKKOR lens that covers the wide-angle 25mm to 300mm range of angles of view (equivalent focal lengths in 35mm  format), Dynamic Fine Zoom, which supports digital zoom up to 24x without compromising the high-resolution, and a Wi-Fi® function that enables simple connection to smart devices, have been packed. It is also equipped with a number of functions that make capturing beautiful images simple, including support for recording of 1080/60i movies with superior picture quality from four-axis vibration reduction, and a number of image retouch options, including twelve Glamour Retouch effects. The S6700 is a model that offers superior image quality and high-power zoom with an effective pixel count of 20.1-million pixels, and a 10x optical zoom NIKKOR lens that covers the wide-angle 25mm to 250mm angles of view (equivalent focal lengths in 35mm  format) and utilizes Dynamic Fine Zoom to increase zoom capability up to 20x. It also allows users to easily express their intent with Target Finding AF and Scene Auto Selector mode. The S5300 offers an effective pixel count of 16.0-million pixels, and is equipped with an 8x optical zoom NIKKOR lens that covers the wide-angle 25mm to 200mm angles of view (equivalent focal lengths in 35mm  format) and utilizes Dynamic Fine Zoom to increase zoom capability up to 16x. It also has a built-in Wi-Fi® function that enables collaboration with smart devices, allowing users to share the beautiful, high-quality photos they capture with this digital camera with others. The S3600 is a slim and stylish model that offers better basic performance while maintaining a compact size with an effective pixel count of 20.1-million pixels, and an 8x optical zoom NIKKOR lens that covers the wide-angle 25mm to 200mm angles of view (equivalent focal lengths in 35mm  format) and utilizes Dynamic Fine Zoom to increase zoom capability up to 16x. Users of this camera can apply a wide variety of special effects to their photos, with shooting and after, with Glamour Retouch (12 effects), Special Effects (12 effects), and Quick Effects (32 effects). The camera is also available in six colors. The S2800 is an easy-to-use, slim and stylish camera with an effective pixel count of 20.1-million pixels and a 5x optical zoom NIKKOR lens. It is equipped with complete auto shooting functions that enable capture of beautiful images with the simplest of operations, as well as a number of image retouch functions, including Glamour Retouch effects, that can be easily applied to photos after they are taken. It is a model that supports stress-free use by even those using a digital camera for the first time. The built-in Wi-Fi® function can be used to transfer photos* to a smart device over a wireless connection as soon as they are taken. Photos can be easily shared with family and friends, or uploaded to blogs or social networking sites (SNS). In addition, the display on a smartphone, tablet, or other smart device can be used to frame images and control shooting remotely. This is very convenient when taking group photos and the like in which the user is included. With remote shooting, the self-timer, zoom, and shooting information are also displayed on the smart device screen. *The Wireless Mobile Utility app must first be installed on the smart device (the app can be downloaded free of charge from the smart device's app store), and Wi-Fi connection settings must be applied before image transfer is possible. 1920 x 1080, 60i movies with stereo sound can be recorded by simply pressing the camera's movie-record button. A variety of recording functions are also available. Dramatic movies recorded using the HS Movie function can be played back in slow motion at 1/4 or 1/2 the normal playback speed, or in fast motion at twice the normal playback speed. Recording of a single movie can also be paused and resumed to include only the desired portions of an activity or event in a movie. Four-axis vibration reduction combines lens-shift vibration reduction, which compensates for camera shake with which the camera tilts slightly to the left and right or forward and back, with electronic vibration reduction, which compensates for camera shake with which the camera moves slightly to the left and right or up and down, for effective vibration reduction under a wide variety of circumstances, such as when recording movies while walking. Effective stabilization of the scene displayed in the monitor as well makes framing movies easier for sharp and clear recording. 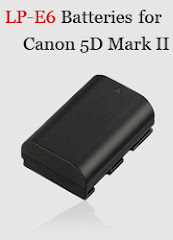 *4-axis vibration reduction is used only with movie recording. In addition to previous Glamour Retouch effects—Skin Softening, Small Face, Big Eyes, Powder, Hide Eye Bags, Whiten Eyes, Whiten Teeth, Redden Cheeks—users can apply four new effects—Eye Shadow, Lipstick, Glare Reduction, Mascara— for a total of twelve effects. The application of Glamour Retouch effects makes portrait subjects appear more glamorous and alive. Mascara: Emphasizes eyes in the way mascara does. Five options are available. The results of Special Effects are displayed with the view through the lens in the monitor before shooting or recording begins, allowing users to choose, preview, and apply a special effect. Users can choose from Soft, High Key, Low Key, Nostalgic Sepia, High-contrast Monochrome, Selective Color, Pop, Super Vivid, Painting, Toy Camera Effect 1, Toy Camera Effect 2, Cross Process (four colors), and Mirror* effects. *The Mirror effect is available only with the S6800 and S5300. Quick Effects enables editing of images in just three simple steps: shoot, apply, and save. Effects can be selected after previewing expected results in the camera monitor, allowing users to enjoy photo expression as intended. A total of 32 effects are available: Soft, High Key, Low Key, High-contrast Monochrome, Selective Color (12 colors), Pop, Super Vivid, Painting, Toy Camera Effect 1, Toy Camera Effect 2, Cross Process (four colors), Cross Screen, Fisheye, Miniature Effect, Sepia, Cyanotype, Soft Portrait, and Photo Illustration. By simply pointing the camera toward the intended subject, the camera instantly predicts and displays the portion on which focus will be acquired. As the active focus area is automatically specified in accordance with the size of the subject, focus can be acquired on the intended portion. Target Finding AF is effective not only with human subjects, but also when photographing smaller subjects such as flowers, food, and the like. Scene Auto Selector mode is enabled as soon as the camera is turned on. The camera identifies the scene and applies the optimal scene mode, making shooting fun, without confusion, even for those using a digital camera for the first time. One of ten scene modes, including Portrait, Night Landscape, Backlighting, and Close-up, is automatically specified. Adoption of a rounded form makes the camera appear slimmer. Components with a different texture have been adopted for the camera's front surface and middle cover, and a vapor-deposition ring around the lens barrel make the camera look and feel more elegant. The camera is available in 3 colors: black, pink, and plum. The camera is beautifully designed with a distinctive rounded form. It is available in six colors: black, silver, red, blue, decorative pink, and pink.